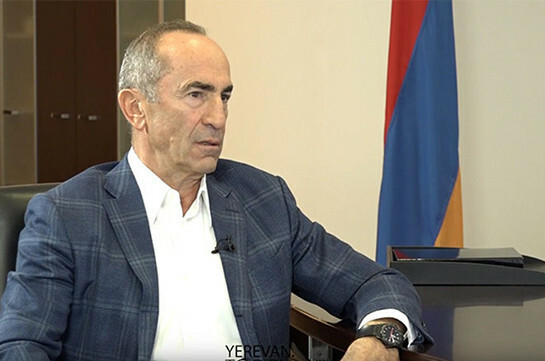 The office of the Armenian second President Robert Kocharyan has published extract from Kocharyan’s interview to Bloomberg agency. In an intreview the second president spoke about the political situation in Armenia, charges brought against him. Asked why he was not surprised of the charges brought against him as he had stated earlier in one of the interviews after being charged, Kocharyan said that the context of all the events showed that these people coming to power would by all means make this issue a priority for them. “Before it parliamentary hearings took place, statements, comments were voiced over it. It was obvious that they are undertaking steps in that direction,” he said. Asked about the reason of returning, Kocharyan said that in general the presidents do not leave the politics. “I was rather passive during the recent decade coming forth with just one-two statements of criticism addressed to acting authorities. I spoke only over issues which received surge of public resonance, and I considered it my duty to express my position over these issues. It was so-called passive political participation. But what started happening from May worried me a lot and it was not a personal issue at all. The issue should be viewed in wider context,” he said. Speaking about that wider context, Kocharyan said that he sees rather problematic situation for Armenia’s statehood regarding the change for which the developments started in May and continue now as well. “Problematic regarding the surge of euphoria which has both positive and negative sides. The positive is “liberation” of the people - their mass protests over negative phenomena taking place in the country. But together with it deformation of whole political platform is taking place as the situation promoted the formation of new monopoly,” he said, adding that the transfer from one monopoly to another is not useful for the country. “The whole sense of the velvet revolution was to destroy the political monopoly. I thought that in the created situation I should come up with my approaches and help the process which confronts the formation of new political monopoly,” he said, speaking about his return. 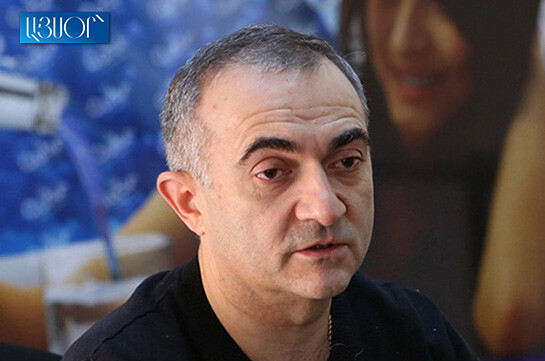 Asked whether it means he wants to return to active politics and take a post in parliament or become a prime minister, or become leader of opposition to ensure balance in the political system, Kocharyan said he wants to assist in formation of that balance by becoming its participant, by expressing viewpoints, by active cooperation with other political forces, by using all the tools for participating in the political processes. “It may be personal participation, cooperation or active expression of position in Armenia’s political platform, expression of approaches over issues and the situation in general,” he said. “The most important for me is not to stay away from the developments. Taking a post has never been end in itself for me. I have taken many posts each political figure may dream of and there will be nothing new to me in this regard,” he stressed. As to what outcome the situation may have for him, Kocharyan said, “All the political analysts understand that the acting prime minister will register convincing victory at snap parliamentary elections and more probably one-party parliament will be formed without worthy represented opposition. It will mean that the Armenian statehood will face serious problems,” he said. “As to how my story will end, I would not like to make any predictions. In such political privilege I cannot assess the degree of pressure on judicial system by the authorities. It is not a normal situation,” he said. Speaking about the criminal case, Kocharyan said it contains unimaginable number of absurdities. “It is a legal garbage and I am convinced that it has no prospect in the European Court of Human Rights. I hope despite the existing pressure the Armenian judicial system will make a fair decision,” he said.